2019 CARADO BANFF **ECOTREK 400** THIS BANFF COMES WITH THE FULL LITHIUM SYSTEM THAT CARADO OFFERS!? IT HAS THE UNDERHOOD GENERATOR, 200 WATTS OF SOLAR, 2,000 WATT INVERTER AND ECOTREK 400.? IT ALSO HAS A SIDE SCREEN DOOR, 24' TV WITH BLU-RAY PLAYER, BACK UP CAMERA WITH NAVIGATION.? IT IS GRANITE METALLIC.? 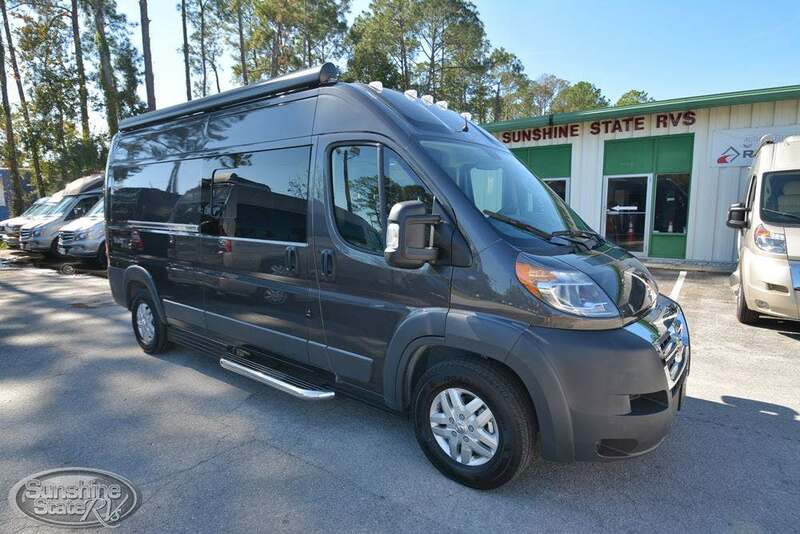 THIS 19 FOOT CLASS B RV IS ON THE DODGE PROMASTER CHASSIS THAT GETS 20 MILES PER GALLON. CALL NICK AT 877-773-9557 FOR THE BEST PRICE! TRADES ACCEPTED AND FINANCING AVAILABLE.